Italy is enjoying slightly improved tax revenue levels, with the collections figures for early 2011 and the 2010 year showing positive growth. On March 14th the Department of Treasury of Italy released a statement saying that in 2010 national tax revenues rose by 0.3 percent compared to the previous year, equivalent to EUR 1.3 billion. Overall, in 2010 tax authorities collected EUR 403.3 billion of taxes. According to the department, the rise in tax revenues is largely due to a 32.4 percent jump in tax collection from import duties and a 4.4 percent increase in Value Added Tax (VAT) collections. Revenues arising from fines and fees following audit increased by 17.9 percent. Revenues from inheritance taxes, gambling taxes, and tobacco taxes fell overall by 0.4 percent. Figures in the statement showed that tax revenues had risen by 3.3 percent over the month of January, in comparison to the same period in 2010. The revenues figures were aided by a series of one-off taxes that were collected in January, although even without the extra taxes overall collection levels were still 3.2 percent above the previous year. The statement suggested that in 2011 the government would pursue increased tax revenues through concentrated efforts to fight tax evasion. It is estimated that anti tax evasion activities carried out by the government in 2010 led to the recovery of approximately EUR 25.4 billion in taxes, while in 2009 the figure was only EUR 9.1 billion. 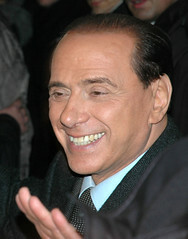 In May 2010 the Italian Prime Minister Silvio Berlusconi said that nearly one quarter of the national economy goes untaxed, representing up to EUR 120 billion in tax revenues lost annually.